If you have any interest in leading a healthy lifestyle, then you already know that exercising is key to maintaining your well-being. Even if you are not on a healthy living binge though, you might have figured out that physical movement is a significant factor when it comes to enjoying a good life. Even more so, if you happen to suffer from acne, then it is crucial that you focus your energy on cutting down your daily sitting time. Because of the way modern life tends to be organized, you may be allocating one or two hours daily for the gym, hiking, swimming, etc. This may seem like a wonderful change to your lifestyle – and it is! However, think about what you do during the remainder of your day. Even if you go wild at the gym, you may still be spending endless hours slouched over your office chair, sitting down in a restaurant or curled up on your couch. Unfortunately, an hour of intense exercise and 15 hours of sitting down do not necessarily cancel each other out. Sitting while working with our gadgets has became a normal part of our lives which could be the culprit of some health problems we are suffering today. What harm does sitting down hold for you? The obvious harm comes in the form of back problems. If you have ever sat down in an office for more than an half a day, then you are probably already well acquainted with this issue. More than that, you can end up with a disturbed digestive system, you may experience blood circulation problems, and are generally at a higher risk when it comes to cardiovascular trouble. Last but not least, sitting down for long periods of time can also contribute to skin problems. This information should come as no surprise. Just think of the big picture – humans are basically highly developed animals. Before we developed into who we are today, we essentially spent our time prancing around nature, jumping from tree to tree, hunting wild beasts with spears and branches. Females were usually engaged in wandering around the nearby forests and gathering roots, vegetables and fruits. Males either walked around planning their hunting tactics or actually participated in prolonged fights with those of the ancient animal species which we considered to be edible. Considering that our meat sources tended to be large, powerful, incredibly fast creatures, it is safe to say that being in tip-top physical shape was imperative for human survival. Even our free time seems to have been filled with physically intense activities. Research suggests that ancient humans often engaged in intensive competitions, sports games and mock fights. In essence, it seems that most of our day was spent walking, jumping or running. Importantly, our ancestors spent very little time in a position that even remotely resembled the creative ways in which we tend to hunch over computers at the office or at home. Granted, this may be because such devices were not even close to being invented, or because we hadn’t even discovered the comfort of the chair. Still, physical activity was a primary part of daily life, so isn’t it strange how little time we spend being active nowadays? What does all of this mean for humans today? One idea is that human bodies aren’t at all adapted to the sedentary life. So why does the average American sit for 15 hours per day? Perhaps that sounds like an exaggeration but think of your daily activities. About 8 hours of your day are spent at work, one or two hours are likely spent sitting on some sort of transportation vehicle. And what do you do for fun on weekdays? Most of us spend it either sitting in front of the TV – adding another two-three hours to the overall sit-down time or, alternatively, at a restaurant or a friends’ house – doing the same thing. If all you read so far sounds like mere circumstantial evidence, then it is time for the scientific proof for why sitting down is simply unnatural and can lead to all kinds of health-related issues. Research based on the Women’s Health Initiative Observational Study examined data on more than 71,000 women between the ages of 50 and 80. The objective of the experiment was to find a correlation between heart disease rate and how much time the test subjects spent sitting down. The scientists concluded that sitting down for about 10 hours per day was directly correlated with heart disease. On the other hand, females who sat down for 5 hours experienced a much lower hazard in relation to heart issues. The study also made the realization that it did not matter much whether the women spent any time exercising or not – as we mentioned, the two activities unfortunately do not cancel each other out. Another experiment considered a possible connection between diabetes and sitting down. It comes as no surprise that the longer people were found to be sitting down on a daily basis, the higher their risk of diabetes. In fact, those who sat down for the most extensive hours had a chance of developing diabetes that was twice as high as that of their more active counterparts. The testing was applied to close to 800,000 subjects – if they happened to sit for longer than 9 hours, they were 90% more likely than others to be forced to battle diabetes type 2. Once again, the study concluded that it did not matter what the test subjects did during the rest of the time. Even if they spent the rest of their waking hours at the gym, sitting down for such prolonged periods of time simply counteracted the time they spent moving around. Worry not – the girls were soon returned to their previous lifestyle, filled with movement and exercise. Tellingly, their arteries went back to their original manner of functioning. We really don’t want to get too morbid but the effects of sitting down and mortality must also be mentioned. While these statistics may appear to be needlessly broad, a team of scientists made a connection between the danger of premature death and a sedentary lifestyle. Cutting one’s sitting-down-and-watching-TV time to two hours or less seemed to up one’s lifespan expectation by almost a year and a half. Sitting down for three hours less per day could help you live two years longer. If that isn’t motivation to get up, work out, dance to your favorite music or simply go on a walk, then we don’t know what is! Indeed, the scientific world has noticed these correlations and has fully turned their focus on studying the effects of prolonged sitting down on our health. Nowadays, there are about 10,000 experiments available that can prove the relationship between sitting and illness. But what about acne? To illustrate whether or not acne can be affected by how long you sit down each day, we will use yet another scientific experiment. The study examined more than 500 persons, 46 percent of whom were female. The idea was to explore their likelihood for experiencing chronic inflammation, and how it related to the time they spent sitting in chairs. As usual, the time that subjects spent exercising was deemed irrelevant to the study, and, therefore, ignored. Surprisingly, the experiment determined that sitting down time had little to no effect on males – although some particular hormonal functions were affected for both genders. Still, women, in particular, who spent a lot of time in a seated position experienced larger amounts of interleukin 6 and c-reactive protein. They also experienced shifts in their insulin levels. If you happen to have researched the causes of acne, you might know that these are all components related to acne. Indeed, inflammation has been deemed as much more significant in terms of acne than factors like cleanliness or acne-related germs. While it may seem strange that some effects did not show up for men, interleukin 6 did affect them, as well. Interleukin 6 is connected to your body’s tendency to develop inflammation – which is basically what causes your zits. If males happened to sit down for longer than 6 hours per day, they experienced the same consequences as females did, in terms of this substance. reactive protein, on the other hand, is a major biomarker of blood, which is used to estimate one’s rate of inflammation. Remaining seated for long times proved to increase one’s c-reactive protein – a factor which serves to cause irritation to your skin. It was discovered to do so among both men and women. A connection between sitting down and acne has also been made alongside studying the reasons behind diabetes. In essence, diabetes is caused by a combination of high amounts of insulin in the body, an innate difficulty with regulating insulin, and very high levels of blood sugar. It can be noted that all of these factors may be linked to intensifying the oiliness level of one’s skin. Scientific research backs up the connection between diabetes and acne, in terms of sugar. For instance, one aforementioned experiment uncovered a link between sitting for most of the day and having high levels of insulin. It must once more be noted that this connection was found to have nothing to do with how much time you actually spend working out. In fact, the reasoning can be found on a much deeper level – within the ways in which our cells function. Basically, as we are meant to move around a lot more than we do, our bodies are very well prepared for intensive movement, and all of the energy we would therefore be using. Insulin moves the glucose in blood around, setting it aside for future, urgent movement (think fleeing from a predator or hunting prey). However, modern man does not often have to deal with this kind of activities, and the consistency of insulin within us is hence disturbed. One experiment illustrates this by showcasing the way in which our bodies send the signals responsible for blood sugar and insulin into overdrive, only a minute and a half after we stand up – even if we had just been lounging around binge-watching Grey’s Anatomy. The case for why we allegedly don’t lose weight as quickly as our ancestors has similar roots. Lipase, which is an enzyme responsible for burning fat, heightens its activity once we stand up. Logically, if we don’t stand up very often, lipase has less chance to help us burn off any calories. Basically, the situation concerning blood sugar and insulin mechanisms might be similar. It would therefore not be surprising if a disturbance in the way our hormones were presumably made to function similarly leads to your pores being clogged by excess sebum. Furthermore, the process of digestion might similarly be affected by immoderate periods of sitting down. Essentially, while you comfortably lounge in a chair, your intestines are not positioned in their natural, downward-pointing manner. This disturbance might be impairing the activity of aiding substances like hydrochloric acid, as well as overall digestion. The connection to acne? All of the nutrients that you might be ingesting with your food in the hopes of relieving your acne (vitamins, zinc, etc.) might actually not be reaching their destinations in the best possible way. Yet another way in which sitting down for a long time may be affecting your skin has to do with mental health. It is a well known fact that stress is strongly linked to breakouts, and that exercise marvelously combats stress. Basically, standing up, moving around and exercising can expertly diminish your cortisol (the stress hormone) and, conversely, up your serotonin levels. This way, you would not only feel happier, but you might see a glowing improvement in terms of your complexion. 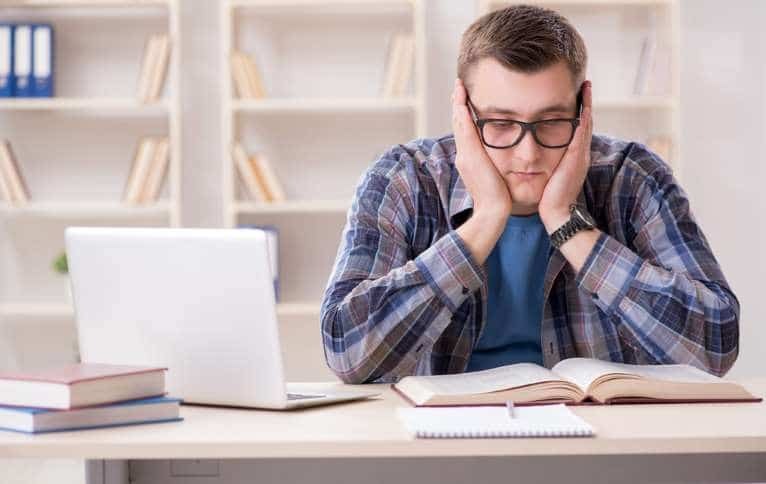 Australian scientists found that out of 3000 test subjects, those who sat for only three hours per day were a lot more likely to battle mental issues than those who sat for six hours. Another team of researchers studied 9000 females between 50 and 55 years of age. The experiment concluded that having a daily sitting down time of 7 hours led to nearly double the chance of depression. This would make these individuals twice more stressed than their more energetic counterparts – and a twice higher risk of recurring acne. If you happen to be unconditionally required to sit down for long periods of time per week, as pertaining to your job, etc, then an easier solution presents itself in the form of simply switching up your posture. Studies have found that slouching and keeping your hands and feet close to your body while you sit can lead to even higher levels of stress than mere sitting. On the other hand, sitting in a more confident position, with a straight back and a puffed out chest, can bring about a testosterone rise of 20 percent and a cortisol decrease of 25 percent. We bet you are already trying it out as you are reading this article! Going back to the explanations concerning the animal kingdom, another simple explanation can be found in relation to increased blood circulation and neuron emergence. As soon as you stand up, your body becomes more alert and focused, your stress levels are lowered and you essentially become a more able, energetic being. While our ancestors used this marvel of the human organism to fend off aggressors, you can use it for the the admittedly less significant goal of slashing your breakout rate. It certainly appears that sitting can affect various factors which can lead to acne, such as insulin, circulation and stress. The bottom line is that you should strive to reduce your seated hours as much as possible. If that is not really compatible with your lifestyle, opt for taking breaks from your chair, or at least try to sit up straight and move your body around. If you do office work or work from home, invest in a tall or adjustable desk which you can use in standing position. A logical argument may be that standing for so long will make you tired, and thus possibly less productive. However, you mustn’t forget that being tired from exercising only makes you more energetic throughout the day, in the long run. Moreover, the more you work standing up, the easier it will become with time. Lastly, granted, all of this might be difficult at first simply because you have gone against your nature for so long, and sat down for a lot longer than you were meant to by birth. Beside thinking about all of the wonderful benefits standing up can bring you, don’t forget that you are doing the right thing and using your body as nature intended. In a few days, you won’t even feel the difference in position!